The Tuskaninny: Love or Hate? The Tuskaninny, which comes under the superfamily of pinnipedia (from the latin penna, fin and ped, foot), are found in various parts of Neopia. Being 38th on the Most Popular Neopets list, the Tuskaninny is sadly overlooked and underestimated. 1,962,412 of these pinnipeds live widespread over Neopia which is surprisingly a small amount but when compared to our forever reigning champion, Shoyru, which stands at 16,027,491 (you may see the big difference). It is often viewed as a mystery as to why the large-eyed Tuskaninny are so often ignored; we shall look into how fascinating and wonderful these neopets really are. The Tuskaninny has been designed perfectly for the far northern and western seas and oceans of Neopia. Its body is streamlined and slick for travelling at incredible speeds through the murkiest waters, whilst its thick layer of blubber makes it ideal for exploring the icy depths of Terror Mountain where it can dive as low as 1500 feet. It spends more than three quarters of its life at sea, usually hunting for food. Being rather unsteady on land, it moves very slowly and with great difficulty, usually only spending time on land to bask or molt. The Tuskaninny also has no external ears but has an acute sense of hearing all the same. Its eyesight is also very sharp due to the flat corneas and huge eyes but hearing is the most crucial sense as the Tuskaninny relies on this mostly for hunting. A membrane covers its eyes that protects them when diving and seeing underwater. Its nose (somewhat like a Lupe or Gelerts, being wet and highly sensitive) is used to pick up hundreds of smells throughout the oceans. It is also able to close its nostrils when diving, which comes in handy for prey. Although their habitat is mainly sea, our flipper friends also must come up for air every half hour or so; whilst underwater, their heart rate slows down dramatically (one tenth of its normal rate), helping them retain more oxygen from their blood supply. 'A lot of the haul-outs began to get bored of our constant visits to Happy Valley and the Ice Caves. The residents began to complain about our snowball fights that lasted throughout the night and Mr. Chipper was fed up telling us we need coupons for ice-cream. So Mystery Island was a totally new place for us to explore. It was nice to bask in the constant heat and have an occasional game of volleyball! The Tuskaninny diet mainly consists of bland fish, waterfish and lesser spotted fish, and Tuskaninnies commonly travel up to fifty kilometers in search of these in particular. They also feed on a variety of aquatic petpets such as ghoti, pfish, peo, frillabon and cubett. If food is scarce, they have also been known to eat crabula and squid, and many are bold enough to take on titanic giant squid and succeed! This petition supported the idea of banning Tuskaninnies from all fishing trawler routes around these islands. It cannot be denied, fishing ports in some of these areas were affected; yet the issue still holds mixed reviews as some feel it is rather extreme. Could this be a small contributing factor to the Tuskaninny's low popularity? Returning to the Tuskaninny's feeding habits, food is usually swallowed whole unless dinner is something more like a titanic giant squid, where a lot of chewing, tearing and biting is involved. Their jaws are large and their teeth very dangerous and powerful. 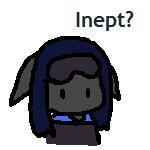 Neopians such as Bruces tend to avoid being friends with such pinnipeds. When you consider the facts that Bruce is 13th place in the Most Popular Neopets list and many will also live in Happy Valley, this may also be another reason why Tuskaninnies do not appear to be so popular. Therefore, to sum up, the Tuskaninny is indeed a beautiful member of Neopia especially if one has ever come into close contact with a spotted, ice or faerie one. Yet many still hold mixed reviews; it would indeed be rather alarming to discover a Darigan Tuskaninny tearing open your fishing net and consuming its contents without a thought. Few would argue that it is acceptable to be rowdy late into the night, waking neighbours and harassing Mr. Chipper for ice-cream. Despite all this, there are still those out there who hold a place in their hearts for the Tuskaninny; their large puppy eyes, sheer resourcefulness and friendliness (most of the time!) are very appealing in a pet. The green Grarrl shifted his weight slightly, causing his heavy armor to move and clang against itself with a loud ring that echoed through the chamber. Newsflash: There is no known cure for ineptitude. William stared in awe at the castle walls. When Thomas had said that the castle was the very definition of "unassailable", the Blumaroo had assumed that some exaggeration was involved.